In 2016, a story made its way around the Chinese media (e.g., the Chinese State Administration of Cultural Heritage) that a new discovery had been made of the earliest dated Heart Sutra. 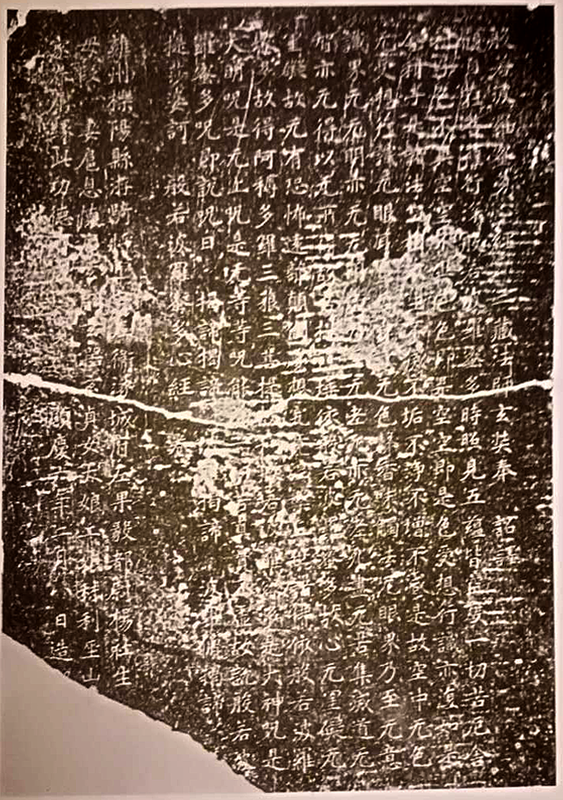 A stone stele, inscribed with the Heart Sutra and carrying the date of 661 CE, had been found at Fángshān near Beijing. The story was not picked up in the West. During correspondance with Ji Yun about my review of his article on the Heart Sutra he generously informed me about this inscription and kindly supplied me with a copy of a recent journal article outlining the find (He & Xu 2017) and a book with another transcription (Beijing Library... 1987). I uncovered some older sources which mention the Fángshān Stele. Firstly, I found that the colophon (containing the date) was transcribed and published in Dàoān and Zhāng (1977). Unfortunately, I cannot get access to this book, except through "snippets" on Google Books. However, I also discovered the text of a pamphlet on Fángshān, which also transcribes the colophon (Lin 1958). And note that Lin 1958 was published in Taipei, Taiwan, not in Communist China and was thus always available to scholars outside the region. The text of Lin (1958) was also used in a pamphlet about the temple on Fángshān, i.e., Yang (2003). Different transcriptions of the colophon disagree on some details. I'm grateful to members of the Omniglot Facebook group and the Chinese Language Stack-exchange for help with deciphering the colophon (though of course any remaining mistakes or infelicities are down to me). 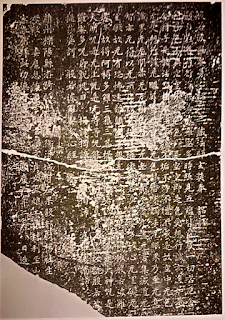 The Fángshān Xīnjīng Stele is of considerable interest because it purports to be carved in 661 CE, three years before the death of Xuánzàng in 664 CE and yet it attributes the translation of the Heart Sutra to him, which as we know is problematic. I have done my best to assemble and evaluate the evidence below. The text is inscribed on a stone tablet or stele. It's dimensions are unclear, but the ratio of its sides is approximately 2:3 and I would guess at dimensions in the realm of 60 x 90 cm (allowing ca. 3 x 3 cm for each character and some leeway). The surface of the stele seems to be badly damaged so that many characters are obscured. It was broken in half at some point and appears to have been repaired. The lower left corner is missing, obscuring up to nine characters. The stone tablet now resides at 雲居寺 Yúnjū sì which translates something like Temple Dwelling in the Clouds. The temple is on 房山 Fángshān, which means something like Repository Mountain. Nearby is 石經山 or Stone Sutra Mountain where Buddhist sutras were carved on thousands of stone slabs in an attempt to preserve the entire Buddhist Canon (as described in the 8th Century). Fángshān is about 65km south-west of Beijing. The Middle Chinese pronunciation of this can be reconstructed as Banya-baramida-sim-keng. This translates into Sanskrit as Prajñā-pāramitāhṛdaya-sūtra. We can see that the first part—般若波羅蜜多— is an attempt to represent the sounds of the Sanskrit word using Chinese characters, while the last two characters represent whole words. This transliteration was used by Mokṣala in his translation of the Pañcaviṃśatisāhasrikā-prajñāpāramitā-sūtra dated 291 CE and was also used by Kumārajīva in his translation of the text in 404 CE. Note that the character 經 is a variant. Note that this attribution occurs at the beginning of all of Xuánzàng's translations in the Taishō Tripiṭaka. However, it also occurs in his travelogue 大唐西域 (T2087) which was not translated but composed by him. Note also that there are minor variations in some earlier editions suggesting that the wording was not fixed. The date of 661 CE comes from the phrase 顯慶六年二月八日造, which occurs at the bottom of the leftmost column on the stele.This is considerably less clear than the attribution. 顯慶 Xiǎnqìng refers to a period of the rule of Emperor 唐高宗 Táng Gāozōng, roughly coinciding with the years 656-661. 唐 was the name of the dynastic lineage, hence Táng Dynasty. Chinese emperors would take special "reign names" (年號) at significant points in their reign. Gāozōng used 14 different names during his time as Emperor (649-683). However, reign periods did not always change at new year. The Xiǎnqìng period began on 7 February 656 and ended on 4 April 661, to be followed by the 龍朔 Lóngshuò period. Lóngshuò began on the 30th day of the second month (= 5 April), so this stele was made towards the end of Xiǎnqìng, on 13 March, 661. Not all the elements of the first character 顯 are clear, but the second 慶 is clear and there seems little doubt that this is the correct interpretation. This is partly because 慶 is not used in many other names of any other regnal periods and is thus a useful identifier. There is no obvious reign period for which this could be mistaken. The rest of the text is presented in 11 columns of 26 characters (or less), most of which are clearly visible and match the text of T251. There are some minor differences, however. One feature of the text is the substitution of the simplified character 无 for 無 throughout. At first this struck me as odd, but asking around I found that it was actually common, especially in inscriptions where the justification was that it was easier to inscribe. The Wiktionary entry says "First attested in the Warring States period; used interchangeably with 無 until the Tang dynasty." Some of the simplified characters introduced by the PRC government actually have long histories. In the dhāraṇī, 帝 is written as 諦 "examine", with the same pronunciation /tei/. This composite character has 言 "speech" as a (vaguely) semantic element and 帝 as a phonetic element. We also saw this substitution in the Beilin Stele. If we explain 无 for 無 as a simplification, then 諦 for 帝 is the opposite, since 諦 is considerably more complex and therefore difficult to carve. However, the so-called two truths are often transliterated as 二諦 and it may that the calligrapher thought this connection too good to pass up. The text appears to be signed at the end of the sutra, but I cannot make out the character and none of my sources mentions it. The colophon is important because it not only gives us the date of the work, but some details about the donor who paid for the stele to be made. Such items were a fund-raiser for the monastery to help pay for their main project of carving the entire Tripiṭaka into stone (which remained incomplete, but covered thousands of tablets). Indeed, our text is not only the oldest dated Heart Sutra, it is the oldest dated colophon at Fangshan and thus marks the beginning of a new phase of the project. By comparing the image of the rubbing from He and Xu (2017) and published transcriptions (which disagree, are partial, and/or contain errors), I have created a kind of critical edition. The colophon must have had more characters where the corner is broken off (indicated in light grey beow). □ = a full character-sized space in the inscription. What can we find in this? Firstly the inscription was commissioned by 楊社生 Yáng Shèshēng. Unfortunately, he seems not to have made any other mark on history. However, 楊 is a very significant name in Chinese history because the Emperors of Sui were from the 楊 clan; although it is not clear if Yáng Shèshēng was closely related to them, because of his name and rank we can say that he is a member of the aristocracy. 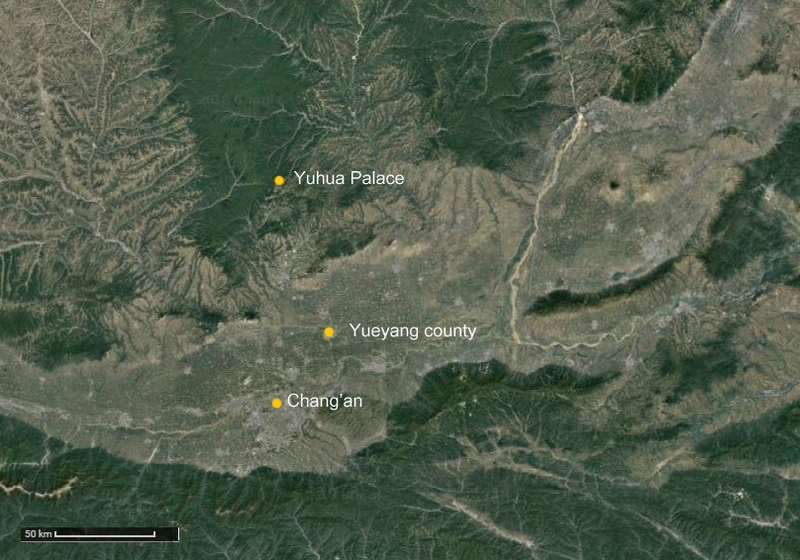 Yáng was from 雍州 Yōng Zhōu or Yong Province in which the Tang capital, Chang'an (長安) was located (modern day Xian). More specifically, he was from 櫟陽縣 Yueyang county. * Yueyang was a temporary capital of the Han (200-205 BCE). It is now in the Yanliang District (阎良区) about 50 km from Xian. * note that the usual Mandarin pronunciation of 櫟 is lì, but the name of the County is definitely Yue, probably based on the pronunciation of 樂 yuè. Yang was a military officer. With help from Charles Hucker's (1985) Dictionary of Official Titles in Imperial China we can determined that he held (守) the prestige title of General of Mobile Cavalry (游騎將軍), but served as Courageous Commander" (果毅都尉) of the left (左) in the guard of the left (左衛) in the garrison 府 of 淥城 Lùchéng. The early Tang military was divided into 12 armies, each comprised of a number of garrisons (~ 650 in total). Each garrison had an overall commander and two "courageous commanders" (果毅都尉), left and right. The "courageous" part related to the way of referring to different garrisons. The place name 淥城府 or Lùchéng Garrison seems to correspond to modern day 涿州为 [涿州為] or Zhuōzhōu Province which is about 30km south-east of Fángshān. 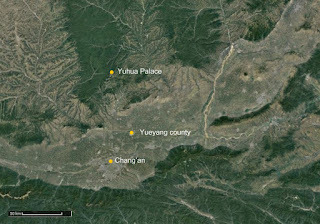 This explains why the stele was found in Yúnjū Temple rather than somewhere closer to Chang'an. Line two is all summed by Yang (2003) as 其全家 "his family". It begins with his Mother 母 Duan段. Duan would be her family name. Next is his wife 妻 Hu 扈; his sons (息): 懷慶, 玄嗣, 玄黎*, and 玄貞; his daughters (女) 大娘† and 二娘 (i.e., first daughter, second daughter); and finally someone named 利巫山 who is a servant or dependent (隸). Perhaps a "ward" given that he is included with the family. The person missing from all this is his father. Since the tablet has columns of 26 characters, there are potentially three characters missing from the end of each colophon column. We can conjecture that the end of line one included the word father (父) and his name, which was presumably also 楊. * 玄器 is an alternative reading of 玄黎. † in this context we might expect 太 rather than 大. The traditional Chinese system of names is relatively complex. They have a family (originally a clan) name, in this case 楊. Then they have a given name (名) which may be given by the head of the family rather than the parents and only used in the family. Women only used their family and given names. Boys might have an infant name (乳名) used up to adulthood. At adulthood men get a 字 or "courtesy name" which is the name they use in everyday life, though intimates may also call them by a nickname (號). At ordination monks take a Dharma name (法號). It's possible that the younger sons became monks and that their names with the common element 玄 (which they share with Xuanzang) reflect this. Other names, such as a nom de plume, or posthumous names were also common. Emperors often took a new name when they took the throne. Three characters are missing at the end of this line. The third line asks that family (家) members (眷屬) be caused (緣) by this merit (此功德) to attain awakening (成正覺) together (齊). The date 顯慶六年二月八日 the sutra was made 造經 we have already discussed. For the first time we have physical evidence linking the Heart Sutra to Xuánzàng during his lifetime and naming him as translator (譯). However, we need to be cautious. What this tells us is precisely that those involved in the production of the inscription believed that Xuánzàng had translated the sutra. Xuánzàng is mentioned in this inscription, but he wasn't involved in it. "3rd lunar month. Chanshi Jingzhi of Ximing-si passed away. He once suffered from blocked nasal passages. Hundreds of remedies were ineffective. There was a monk who had him recite the Prajñā-Heart Sutra ten-thousand times. At exactly five-thousand [recitations], his [nasal] flesh tinkled [like a bell]. (original biography). Master Xuánzàng at Yuhua translated the Pra(jñā Sūtra)." Words in square brackets are added to help make sense of the translation. The words in parentheses are notes from the CBETA edition. From the 《大唐大慈恩寺三藏法師傳》, a biography of Xuánzàng composed by慧立 Huìlì, edited and published by 彥悰 Yàncóng in about 688 CE (T 2053), we know that Xuánzàng moved to Yuhua late in the 4th year of Xianqing (659), and started translating the Mahāprajñāpāramitā (i.e., T220) at the beginning of the 5th year (660). See below for more on dates. What this passage suggests is that the Heart Sutra predates the translation of the Mahāprajñāpāramitā. The phrase 三藏法師玄奘奉　詔譯 appears at the beginning of T220, Xuánzàng's translation of the collected Prajñāpāramitā sūtras. By contrast, Huìlì and Yàncóng state that the work was translated due to a request from the "people"
From what I can make out, such translations were presented to the Emperor after completion and then received the imperial seal of approval. The 玉華宮 Yuhua Gong, or Palace of Jade Flowers, is the place where Xuánzàng's translation team worked on T220. It is about 100 km north of Changan, well away from the distractions of life in the capital (and quite far from where Yang lived, also). According to Huìlì and Yàncóng, Xuánzàng moved out to Yuhua in 顯慶四年十月 or November 659 (T2053.275c). Yaowang Mountain, about halfway between Chang'an and Yuhua also has a collection of stone sutras. The date of 顯慶六年二月八日 for the Fángshān stele is interesting because it's in the middle of the period during which Xuánzàng and his team of translators were translating the collection of sixteen Prajñāpāramitā sūtras known as the 大般若波羅蜜多經 or Mahāprajñāpāramitā Sūtra (T220). This took about four years and occurred between: 顯慶五年正月一日 and 龍朔三年十月二十日. The table below shows the key events and the dates in the traditional Chinese and Gregorian calendars. As we can see, the stele purports to be from a time a little over a year into the translation of the Prajñāpāramitā Sūtra collection. And at a time when Xuánzàng had retreated from public life in the capital to a mountain retreat 100 km away. If we take this at face value, then Xuánzàng must have "translated" the Heart Sutra attributed to him (T251) before he started this magnum opus. I use scare quotes on "translated" because it is clear from other evidence that he did not translate it. Note that Xuánzàng died within a few months of completing the Mahāprajñāpāramitā Sūtra translation. All of the circumstantial evidence points away from Xuánzàng's being involved in translating it (see Nattier 1992: 189ff for a survey of the evidence). The Heart Sutra is a 抄經 (chāo jīng) or "sutra extract" rather than a translation. The extraction was from Kumārajīva's Chinese translation of the Large Sutra (T223), with other parts inspired by the same text, and a dhāraṇī from elsewhere. It now clearly predates the completion of T220. Like a lot of English (so-called) "translations" the text attributed to Xuánzàng (T251) is an edited version of an existing text (T250). Two lines were removed and the characters for two names and one technical term (skandha) were changed. All the terms changed were introduced by Xuánzàng, but were seldom taken up by later translators. No text translated by Xuánzàng ever replaced one translated by Kumārajīva in popular Chinese Buddhism - Kumārajīva's texts are still in use today. Xuánzàng's biography mentions him being given the text, not translating it. Xuánzàng's own travelogue doesn't mention the Heart Sutra at all. The Heart Sutra does not appear in T220, Xuánzàng's collection of Prajñāpāramitā sutras translated from Sanskrit (though we have reason to believe he already possessed a version). No other Prajñāpāramitā text translated by Xuánzàng occurs outside of T220. So, Xuánzàng was, at best, an editor of the text. And such edits as occurred were relatively minor. In a forthcoming essay I will show that the character 譯 does not always mean "translate" but can mean precisely "edit". In any case, the resulting text, or one very like it, was attributed to Xuánzàng three years before he died (early in 664 CE) by someone who lived several hundred kilometers away. Even if the story about the blocked nasal passages is not exactly historically accurate, it probably does reflect the use to which the Heart Sutra was put in the 10th Century, when the commentary was composed. And this is confirmed by other sources. While a handful of scholars studied and interpreted the text as a document of Buddhist ideas, the majority of Buddhists, then and now, see it in magical terms, in which understanding the text is secondary, if it has any importance at all. The Fángshān Stele can now claim to be the oldest dated Heart Sutra. It forces us to review the relationship between Xuánzàng and the Heart Sutra, though I do not think that we can take the attribution to him at face value. Since the Heart Sutra Xuánzàng had was almost certainly already in Chinese, we cannot say that he translated it. It is possible, even likely, that he edited it for publication. If he did so, it was most likely before he embarked upon his translation of the Mahāprajñāpāramitā Sūtra. And he probably did not include the Heart Sutra in this collection, because it was already in Chinese. If the biography of Huìlì and Yàncóng can be believed, then Xuánzàng treated the text as a locally produced (magically efficacious) dhāraṇī, not as an authentic Indian sutra. However, the commentaries of Kuījī and Woncheuk (which I have written about before) clearly do treat the text as having an Indian origin and as being a text about ideas rather than simply apophatic magic. Chinese Canonical texts from the CBETA Reader, except where stated. 北京圖書館金石組, 中國佛教圖書文物館石經組編 (1987) ‘房山石經題記匯編’. 书目文献出版社 : 新華書店北京發行所發行, 1987. = The Beijing Library Metal and Stone Group and The Chinese Buddhist books and Cultural Relics Museum Stone Sutra Group. (1987). Classified Compilation of Headings and Records of the Stone Scriptures on Mt. Fang, Beijing: Bibliographic Literature Publishing House and Xinhua Bookstore. 道安 and 張曼濤. (1977)「大藏經硏究彙編」(2 Vols.) 台北: 大乘文化出版社. = Dàoān and Zhāng Màntāo. (1977) Collection of Tripiṭaka Research. (2 Vols.). Taipei: Mahāyana Culture Press. 賀銘, 續小玉, “早期《心經》的版本”，房山石經博物館/房山石經與雲居寺文化研究中心，編輯，《石經研究》，第一輯，頁12-28. 北京：北京燕山出版社，2017年。= He Ming, Xu Xiaoyu. (2017) “the Early recessions of Heart Sutra”, in Fángshān Stone Sutras Museum & Research Center of Fángshān Stone Sutras and Yunju Temple, ed., Stone Sutras Studies, Vol,1, pp.12-28. Beijing: Beijing Yanshan Chubanshe. Hucker, Charles O. (1985). Dictionary of Official Titles in Imperial China. Stanford University Press. Li Rongxi (1995) A Biography of the Tripiṭaka Master of the Great Ci'en Monastery of the Great Tang. Numata Centre for Buddhist Translation and Research. 林元白。(1958)「唐代房山石经刻造概况」現代佛學 , 3。 一九五八年。= Lin Yuanbai. 'A General Survey of Fángshān Stone Sutras from the Tang Dynasty. Modern Buddhist Studies, 3, 1958. www.baohuasi.org/qikan/xdfx/5803-011A.htm. Cached copy. 杨亦武. (2003) 云居寺. 华文出版社. = Yáng Yìwǔ (2003). Yún jū Temple. Huawen Publishing House. This essay is a critical review of the article Is the Heart Sūtra an Apocryphal Text? – A Re-examination by Professor Ji "Michael" Yun of the Buddhist College of Singapore, first published in Chinese in 2012 and translated into English in 2017 by Chin Shih-Foong (who uploaded the article to academia.org). Ji is sceptical about and critical of Jan Nattier's thesis that the Heart Sutra was composed/compiled in China, though he is curiously naïve and credulous about other scholars, especially Conze and Fukui. I will argue that his methods are unsound and his conclusions largely invalid. For example, many of Ji's assertions rely on literal and entirely uncritical readings of traditional texts. As such, Ji's article on the Heart Sutra is consistent with those by Ishii Kōsei and Kazuaki Tanahashi. All three authors seem willing to believe almost anything rather than accept the inescapable conclusion. Ji's article is also characterised by his patronising attitude toward Nattier and the use of rather clumsy strawman arguments. Ji's original article was published prior to publications by Matt Orsborn (Huifeng 2014) and myself (Attwood 2015, 2017, 2018) and does not anticipate our discoveries or our arguments. Nor does he anticipate forthcoming articles of mine. There are minor errors of spelling and grammar on every page of the translation and it would have benefited by being proofread someone more skilled in English. Though, on the whole, the article is readable, I cannot speak to how accurate the translation is. I proceed on the assumption that it is a good representation of the original and if it is not then perhaps someone will draw this to my attention. Ji uses simplified Chinese characters in his article (the norm in Singapore where he teaches). In my discussion, I have used traditional characters and where I have quoted Ji directly, I have supplied the traditional characters. Ji begins with an anecdotal forward (Section 1), but soon settles into a long recapitulation (Section 2) of Nattier's main argument based on a comparison of four texts: Sanskrit and Chinese versions of both the Pañcaviṃśatisāhasrikā-prajñāpāramitā-sūtra (Pañc) and the Heart Sutra (Ji 2012: 3-17). His summary is mostly accurate and his comments do not detract too much. One sees the strength of the argument for composition in Chinese based on an extract from Kumārajīva's translation of Pañc, i.e., T223. Ji spends pages 18-34 reviewing the career of Edward Conze and his, often faulty, opinions on Prajñāpāramitā. Ji does not critique Conze; instead, his praise of Conze is effusive. This is curious from a contemporary scholar, since it is common knowledge that Conze made many mistakes in his Sanskrit editions and that his translations are inaccurate a good deal of the time. Ji includes some digressions such as comparing the Svalpākṣarā and the Sanskrit Heart Sutra which is intended to show that a short text like the Heart Sutra is not unique. Many short prajñāpāramitā texts were produced, though these were typically much later. For example, the Svalpākṣarā was translated into Chinese during the Song Dynasty (960-1279 CE) and the earliest Sanskrit manuscript is dated ca. 1000 CE. The Svalpākṣarā is an overtly Tantric text, while the Heart Sutra harks back to a much earlier pre-Tantric period. Therefore, the Svalpākṣarā most likely post-dates the Heart Sutra by quite a bit. This is one of several times that Ji seems inattentive to the importance of chronology, a fault that I also noted in my critique of Ishii Kōsei's article on the Heart Sutra. It is not entirely clear what is achieved by this long section of the essay, covering three more pages than the summary of the thesis Ji sets out to criticise. Conze's work is surely well known by the intended audience for this article and it has little or no bearing on the matter at hand, i.e., the question of whether the Heart Sutra is an apocryphal text or not. Moreover, Conze's work is now severely dated and almost all of his editorial work needs to be redone due to careless mistakes. Ji does not notice the mistakes in Conze's edition of the Sanskrit Heart Sutra (See Attwood 2015, 2018). These mistakes are now a useful yardstick against which to measure the work of scholars of the Heart Sutra. If they do not notice simple grammatical mistakes in the Sanskrit text, then they are not in a position to comment. Section 4 gives a cursory review of the volume of Prajñāpāramitā essays edited by Lewis Lancaster in honour of Conze. Leon Hurvitz (rightly) gets most of the attention, as he translated the introductions to T256 (See my essay Taishō 256: The Other Chinese Heart Sutra). Nothing here is relevant to the Chinese origins thesis. Ji continues his review of historical research with a brief discussion of the first of Donald Lopez's two books on the Indian commentaries of the Heart Sutra (1988). The second, and better, book with complete translations (1996) is not mentioned. Ji proposes that Nattier benefitted from Lopez's observation that according to Conze 's chronology there is a 500-year gap between composition and the first Indian commentaries (Chinese commentaries appear a century earlier). By not referring to Nattier's use of Lopez (1988), while suggesting that it has been a major influence on her work, Ji seems to imply that Lopez is an unacknowledged influence. This is certainly not the case. For example, Lopez (1988) is prominently cited on the first page of Nattier's article (153) as well as elsewhere. This is the first of many examples of this type of argument. This apparent gap between composition and the emergence of commentarial texts is discussed by Nattier (1992: 173-4) at which time she again cites Lopez (1988) as a source (Nattier 208: n.39). Nattier further points out that all Chinese commentaries (ancient and modern) are on T251, while all of the Indian commentaries discussed by Lopez are on the extended Sanskrit Heart Sutra. Not only did the surviving Indian commentaries emerge a century later, they all used a text that has been altered to conform to Indian norms for sutras. See also Nattier's discussion of what constitutes authenticity in China, India, and Tibet (1992: 195-8). However, neither the apparent gap nor the question of what constitutes textual authenticity is central to the Chinese origins thesis. These are side issues. That said they make more sense if the Heart Sutra was composed in Chinese in the 7th Century. This section gives us a deeper glimpse of the work of the late Fukui Fumimasa on the Heart Sutra (he died in May 2017). It seems that Ji is working from Chinese translations of Fukui's Japanese publications. Although Fukui has been very influential on Japanese academia (and on Zen Buddhist commentators) in rejecting Nattier's thesis, to date the relevant work has not been translated into English. As we will see, Nattier does cite his earlier work on several occasions (she taught at Soka University, Tokyo, 2006-10 and can read Japanese). Indeed, as with Lopez, Fukui is cited on the first page of Nattier's article (153). Ji gives us considerably more detail than has previously been available of Fukui's argument that the title, 心經, should be read, not as Heart Sutra, but as Dhāraṇī Scripture. According to Fukui, the title 《心經》 only becomes standardised as recently as the 14th Century. Before this it was routine to use the title 《多心經》 in catalogues and other literary references to the Heart Sutra (Ji 37-8). Fukui examined the Chinese Heart Sutra texts found at Dunhuang and recorded nine variations, each with 多 somewhere in the title, although the relationship varies (Ji 37). The relationship is not always obvious. For example, one variant was《多心經般若》where 般若 stands for prajñā(pāramitā), suggesting that 多 does not. It is not clear what 多 signifies and Ji does not discuss this. He does point out that in Kumārajīva's day prajñāpāramitā was transliterated as 般若波羅蜜 (Middle Chinese banya baramiet), noting that 蜜 had a final dental sound ( /miet/ ) and could thus dispense with an extra character to present tā. By Xuánzàng's time, the final consonant of 蜜 must have been dropped, as in Mandarin, necessitating the addition of a final dental sound for which 多 (Pinyin duō) was the standard choice. From this Ji concludes that any reference to 多心經 must be to T251. However, this assumes that the 多 was related to 般若波羅蜜多 for which no evidence is forthcoming and, as Fukui's collection of titles show, it may not have been the case. Ji is not thinking critically at this point, but giving way to confirmation bias. Ji does not consider, for example, that 多 has an independent meaning in Chinese. 多 has the basic meaning "many" (Digital Dictionary of Buddhism). For example, Xuánzàng uses it in the expression 多人 to mean "many people" (T 2087.867c.2). According to Kroll's (2015) definition 2, it can mean: "exceed, surpass; be greater than, superior to. a. make much of; deem important, significant, or valuable; highly esteem or praise." In other words, 多 can be a general superlative in Middle Chinese. And we know that Buddhists frequently used such superlative prefixes (e.g., mahā-, ārya-, brahma-) to mark names and words as important. One of the Sanskrit terms that 多 can stand for in Middle Chinese is mahat, or as a prefix, mahā-. Even though 大 is far more common for mahā-, the point is that there is at least one other plausible interpretation of 多 in this context. Ji does not consider alternatives, except where it will undermine Nattier's thesis. Ji is completely passive in accepting the arguments of Fukui. I see no evidence for taking 多 to represent 般若波羅蜜多 and some to the contrary. Ji points out that there are one or two exceptions to this trend of referring to the text as 《多心經》, the most interesting being the reference to the Heart Sutra in the biography of Xuánzàng 《慈恩傳》by Huìlì 慧立 in 688 CE (24 years after Xuánzàng died). This biography twice refers to the 《般若心經》where 般若 is an abbreviation of 般若波羅蜜多 or prajñāpāramitā, and 心經 means Heart Sutra. Note that by 《慈恩傳》Ji seems to mean T2053, i.e., 《大唐大慈恩寺三藏法師傳》Biography of Tripitaka Master of the Great Ci’en Monastery (c.f. Li 1995). Xuánzàng's own travelogue seemingly never mentions the Heart Sutra. Without having come to any resolution on the meaning of 多, Ji segues into a discussion of 心. Note: 经 = 經 "sūtra"; 陀罗尼 = 陀羅尼 is a transliteration of dhāraṇī; 真言 "true word" is the standard translation of mantra in Chinese and Japanese Tantric Buddhism. Fukui, like Ji, here seems inattentive to the importance of chronology. I have shown how the character 咒 changes its meaning over time (Attwood 2017). Vidyā is translated in the 5th Century by Kumārajīva as a binomial word 明咒. The early meaning of vidyā is "experiential knowledge", particularly the knowledge gained through meditation. In my essay Aṣṭasāhasrikā: Insight and Ongoing Transformation, I argued (on the basis of a single passage) that perhaps dhāraṇī also had the sense of the "ongoing transformation" that results from peak meditation experiences. Thus, dhāraṇī and vidyā may both have the sense of encapsulating the insights gained in meditation. This may also explain why the two words became interchangeable despite having different denotations. However, by the 7th Century, 明咒 is seen as two words, "bright dhāraṇī" (cf. Beal's 1863 translation with no influence from Sanskrit texts). In T251 明咒 is reduced to just 咒 in all but one case and is understood as dhāraṇī. As far as I can tell, 咒 has never been used to represent vidyā in this context. Contrarily, I have noted at least one occasion when 明 represents vidyā, i.e., in the translation of the Ratnaguṇa-samcayagāthā (Attwood 2017). The use of dhāraṇī as 'magic spell' predates the emergence of Tantric Buddhism in the second half of the 7th Century in India. As Ryūichi Abe points out (1999: 151 ff), Tantra is a context within which other elements can be interpreted. Dhāraṇīs and even mantras appearing out of context are not Tantric. In other words, Tantra becomes established after the Heart Sutra takes its standard form. 咒 does not take on the meaning of mantra until Tantric Buddhism becomes established in China in the 8th Century. Although there is some evidence for Tantric Buddhism earlier in China (See Jeffery Kotyk's blog After Xuanzang: Monk Wuxing and Early Tantra in India), it does not become firmly established until the arrival of Śubhakarasiṃha (637-735) and Vajrabodhi (671–741) in Changan in 716, and in 720 CE, respectively. As we will see, Ji makes a meal out of one of the earlier translations, but he goes far beyond the evidence when doing so. Notably, the two late 7th Century commentaries by Kuījī and Woncheuk, mentioned later by Ji, show no knowledge of Tantric Buddhism and see the Heart Sutra solely in terms of Madhyamaka and Yogācāra. If Fukui has been fairly represented by Ji, then he is also guilty of collapsing centuries of linguistic change when he conflates vidyā, dhāraṇī, and mantra. It is difficult to show exactly when vidyā and dhāraṇī became conflated, but it had not yet happened when the Large Sutra was composed. Note also that T250 is not called 心經 at all, but 大明呪經, i.e., Mahāvidyā Sūtra, where vidyā is used in the sense of "knowledge" rather than as "incantation". Prajñāpāramitā frequently represents the aim of Buddhism as a superlative kind of knowledge: prajñā-pāramitā, sarvajñā, mahāvidyā, etc. At this point, I think it is fair to note that while Ji works for an institution, its main executive and teaching staff are Buddhist monastics (Ji is not) and the student body are also either monastics or in training to be monastics. When "academics" are signed up members of the Buddhist establishment with all the commitments and built-in biases that this implies (see Spiritual III: Demesnes of Power) we have to be especially cautious about their views. 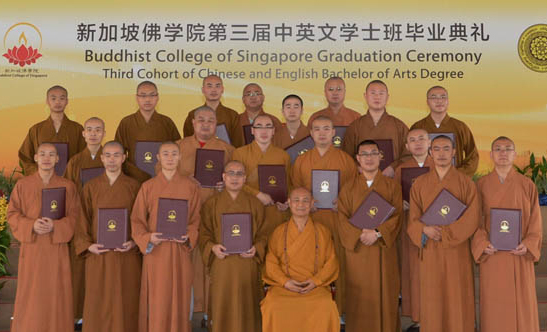 The capture of Buddhism Studies by monks tends to shift the focus from critical thinking towards religious apologetics. And Ji's article can be seen as an apologetic for the authenticity of the Heart Sutra rather than as genuine critical scholarship. Shen apparently pointed out that the Chinese Heart Sutra texts T250 and T251 are vidyā 咒 rather than sūtra 經 (note as above that 咒 does not mean vidyā). However, Ji gives us only the conclusion, not the reasoning behind it. Given Ji's comments about Shen's lack of training and skill, this conclusion seems more like luck than perspicuity. Where is Ji's scepticism in this case? There is an error in the scanned image of Taishō 7.1110a accompanying the CBETA reader (clear in the extract, right). Ji either has a revised edition or he has silently amended parasagate to the expected parasaṃgate (Ji 40). It is a simple, even common mistake to leave off an anusvāra (Attwood 2015), so amending it is fair enough, but a scholar is bound to say when they make amendments to cited texts, especially canonical texts. Ji writes about this as "an important discovery" (Ji 40), going to a lot of trouble to reproduce (and correct) the Siddham text from the Taishō page in his article. At the same time, he argues against Shen and for a different source of the Heart Sutra "mantra" (one already mentioned by Nattier and credited to John McRae: 211 n.52 and 53). Now, if Ji is right about the source of the dhāraṇī, then this "discovery" by Shen is incidental rather than important. Ji's argument is that Shen is not only a poor scholar in general, but that he is wrong about the source of the mantra. In Attwood (2017), I showed that the incantation in the Heart Sutra was not a mantra, but a dhāraṇī. Mantras begin with oṃ. They reference deities or ritual actions. And, as already mentioned, they occur within the context of the abhiṣekha ritual (and sādhana based on it). Dhāraṇī do not start with oṃ (until they are wrongly conflated with mantra) and they are often just repeated sounds with variations. Dhāraṇī don't mention deities, though they do often contain Sanskrit words with changing prefixes, i.e., gate, paragate, parasaṃsgate. Dhāraṇī also have a strong preference for the Prakrit nominative singular ending -e (cf here and here). Dhāraṇī always end in the Vedic word svāhā, while mantras sometimes end in svāhā, but more often end with seed syllables or words (particularly hūṃ and phaṭ). Mantras of some Tantric deities, e.g., Tārā are hybrids of the two approaches, oṃ tāre tuttare ture svāhā. Moreover, I showed in an essay in 2009 that the inclusion of tadyathā is a mistake along the lines of an actor saying the stage directions on their script out loud. It means "in this manner". The inclusion seems to occur because the reciter cannot understand Sanskrit. Sanskrit studies were alive and well during Xuánzàng's lifetime, if only within an elite of the monastic community. So this mantra must post-date the composition of the Heart Sutra by decades if not centuries. It has nothing to do with Xuánzàng and appears to be the product of a culture in which Sanskrit is no longer understood. Shen also does some rather ad hoc reasoning (Ji 40-1) about which texts had Sanskrit sources. He concludes that "it is not inconceivable that there is first the translation from Chinese into Sanskrit, and later (back-translation) from Sanskrit into Chinese." (Ji 41). However, Shen does not examine any Sanskrit sources, so he is at best guessing about the relationship between T250 and T251 (which he credits to their traditional authors, confusing the chronology). As Ji portrays Shen, he lacks credibility and his observation was not based on solid "cross-lingual" evidence but was an opinion based on interpreting Chinese texts alone, Crucially, he was wrong about the source of the mantra. This section seems to be included solely because Ji claims that Shen anticipated one of Nattier's observations, though there is no sign that this was based on sound reasoning and indications that it was not. This section is lengthy and broken up into many unrelated sub-sections. I will continue in the same fashion taking each subsection as a unit. This observation allows us to place the Heart Sutra in the context of a widespread practice of copying parts of translations in just the way that we can see has happened with the Heart Sutra itself. Far from being unusual, the Heart Sutra is just one example of a broad cultural trend happening in China. This jibes well with Paul Copp's (2014) observations about the use of dhāraṇī in early medieval China. Of course, we also know that the opposite happened, and previously independent texts were absorbed into larger texts. What Ji does not say is that there was no such parallel trend in India. The Heart Sutra is not a unique Indian attempt to condense the voluminous Prajñāpāramitā literature into a single page of text. Instead, it is part of a commonplace Chinese tradition of extract copying and dhāraṇī writing. Nattier's assertion that "the Heart Sutra is—in every sense of the word—a Chinese text" is bolstered by this observation. Curiously, Ji does not discuss the significance of this insight for the Chinese origins thesis at all. His eye seems to be on another goal that becomes apparent in Section 8.3 (Ji 49), i.e., the applicability of the word apocryphal. This leads to a note which discusses precisely the contributions of Kuījī and Woncheuk. "In sum, the statement of both Kuījī and Woncheuk indicate that at least some Buddhists, already in the 7th Century CE, considered the Heart Sutra to be not a separate sermon preached by the Buddha, but an extract made by certain "sages who transmitted the Dharma" from the Large Sutra of Kumārajīva" (1992: 207 n.33. Emphasis added). Ji does not acknowledge that Nattier pre-empted his discussion of this facet of the Heart Sutra, even though he cites exactly the same passage from Kuījī's commentary (compare Nattier 206 n. 33 with Ji 44). What Ji does cite is another note (210 n.48) in which Robert Buswell privately proposed to Nattier that the Heart Sutra might be an example of a ch'ao-ching or "condensed sūtra". Though Nattier's article does not supply the Chinese characters for the Wade-Giles romanisation, they are 抄經, i.e., "copied sutra" or "sutra extract". Buswell has (erroneously, I think) translated 抄 as "condensed" rather than "copied" or "excerpted" (cf Kroll 43) giving the impression that he is talking about something else when he is making the same point. Again, we find Ji simply not paying attention to the article he is criticizing. "Since the text was intended for ritual use (that is, as a dhāraṇī to be chanted) rather than to impersonate a genuine Indian sūtra, it is no surprise that the author(s) of the text have not tried to cloak their product in foreign garb" (Nattier 1992: 176). Ji does not acknowledge his own debt to Nattier (or to Fukui even) but presents this section as original research. This is all the more surprising given how eager he was to show Nattier's debt to her predecessors. But note what Fukui is saying here, via Nattier: the Heart Sutra was never a sutra. And note that Ji explicitly agrees with this conclusion. Nattier emphasises that it is only the core section that is extracted from the Large Sutra, something that Ji overlooks. Conze suggested that as much as nine-tenths could be traced to the Large Sutra, though some of his tracings are to only vaguely similar Sanskrit passages rather than to Chinese passages (1967: 166). However, I have shown that at least some other parts of the Heart Sutra were composed very much on the model of Kumārajīva's Large Sutra (e.g., Attwood 2017). There is an argument for borrowing beyond the core section, but this also happened in Chinese. I agree with the conclusion of section 8.1, that we should classify the Heart Sutra as a "sutra extract" (not as a "summary", a "condensation", or any other form of essentialization) and we should, as Nattier has done, credit Fukui for this characterisation. I disagree that this "has long been known" because, as the next section shows, the knowledge was lost or deliberately obscured before the end of the 7th Century. Ji deserves credit for summarising the research of others, but that is all. This section reviews how various catalogues treat the Heart Sutra. This is a useful contribution because we see that the Heart Sutra as Chinese 抄經 "sutra extract" is rapidly obscured and the text is treated as an authentic sutra translated from Sanskrit. The Neidian Catalog (T2149) is the first bibliographical work to attribute the Heart Sutra to Xuánzàng. Compiled in the year of Xuánzàng's death, 664 CE, the 《大唐內典錄》Dàtáng nèidiǎn lù or Great Tang Catalog of Texts, by Daoxuan 道宣 (596-667 CE), lists the Heart Sutra several times under different categories, including texts translated by Xuánzàng and another category titled, 失譯經 or "sutras with unknown translators". This appears to be the first time there is any suggestion that Heart Sutra is a translation (from Sanskrit). However, the catalogue also lists the Heart Sutra as an anonymous text. In another moment of credulity, Ji argues that "we should have no reasons to doubt the accuracy of Daoxuan's records in his catalogue" (46). He has just finished proving that the Heart Sutra is not a translation at all. Ji appears to favour the view that the attribution to Xuánzàng is accurate and is therefore left explaining the anonymous Heart Sutra as an anomaly. Ji never gets to grips with the fact that the same text is attributed to different translators by Daoxuan. Even if he doesn't accept his own conclusion that the Heart Sutra is a 抄經 "sutra extract" rather than a translation, Ji must also be aware of the scholarly consensus that Xuánzàng cannot have translated T251. So the real question here goes begging. Why two attributions? Why attribute the text to Xuánzàng at all? Rather than weighing the evidence, Ji accepts the answers that best fit his existing belief. The next catalogue, chronologically, is the《東京大敬愛寺一切經目錄》"The Eastern Capital, Greatly Beloved Temple, Catalogue of All Sutras" compiled by 釋靜泰 Shì Jìngtài in 666 CE. Note that 東京 "the Eastern Capital" is a name for the city of Kaifeng 開封 during the Later Han period (947–951). This catalogue unequivocally attributes the Heart Sutra translation to Xuánzàng. That is to say that within two years of his death, Xuánzàng is credited with translating a text that Ji has convincingly argued was not a translation at all. This contradiction in his presentation never seems to occur to Ji who goes on piling up "evidence" that the Heart Sutra was translated by Xuánzàng (though, in the end, he comes back to this conclusion that it was not a translation). The next development in what we must begin calling "the myth of the Heart Sutra" comes in the Kaiyuan Catalogue《開元錄》compiled by Zhisheng 智升 in 730 CE. Previous catalogues had only listed one title,《多心經》(though under different categories). In the Kaiyuan, T250 appears under its conventional title, i.e.,《大明呪經》, and is wrongly attributed to Kumārajīva for the first time (an observation by Fukui cited by Nattier 214, n.71), and T251 is again wrongly attributed to Xuánzàng. The Kaiyuan also lists T250 as "the first translation" (Ji 47). For the first time, a non-existent version is attributed to Bodhiruci (fl. early 6th Century). In summarising the catalogue evidence (Ji 48), Ji makes two curious statements. The first is, "Therefore, we can be completely certain that the Kumārajīva version is a late addition." A late addition to the cataloguing tradition? This much seems obvious. Does Ji mean something more? Is he, for example, claiming that T250 post dates T251? Has something been lost in translation here? The second statement is, "This fact has enabled the Kumārajīva version to achieve wide circulation." However, "the so-called Kumārajīva version" (i.e. T250) has never had wide circulation and still doesn't. T251 was and is the only version of Heart Sutra in Chinese to have had any circulation, let alone wide circulation. All known commentaries in Chinese, from Kuījī and Woncheuk onwards, have been on T251. Other versions still exist because they were collected in the anthologies that became the Chinese Canon. After this, Ji notes that 慧琳 Huìlín (737-820 CE) in his 810 CE work《音義》"Meaning of Sounds" mentions a different set of three translations and mixes up the authorship of the texts. Ji spends a page discussing this confusion but it doesn't add anything to the main discussion. Although I think Ji has overlooked or ignored important conclusions from the material he has presented in Subsections 8.1 and 8.2, it is nonetheless interesting and valuable evidence in the history of the Heart Sutra. Evidence from the catalogues shows us that the traditional narratives of the Heart Sutra as an Indian sutra were already being formed even while Xuánzàng's living students, Kuījī and Woncheuk, were acknowledging the fact of the (so-called) Heart Sutra being a sutra extract unrelated to Xuánzàng (see also comments from Ji 53, para 3). Unfortunately, Ji fails to join the dots here, but I think this is because he is assembling evidence for a peculiar argument that surfaces in Subsection 8.3, which we can now tackle. Subsections 8.1 and 8.2 are a lead up to a rather pedantic discussion on the applicability of the term "apocryphal". It is based on the assumption that the Heart Sutra is, in fact, not a translation of an Indian Sutra, but one of many sutra extracts composed in Chinese and was recognised as such by the earliest Chinese commentaries. Ji has given us ample evidence that the Heart Sutra was not a sutra, but an example of a 抄經 "sutra extract", and that this knowledge was lost (or deliberately obscured) before the end of the 7th Century. Ji doesn't notice that his argument is poorly founded on his own account. If everyone believes a text to be a sutra, but it is not a sutra and therefore of doubtful authenticity, then the word "apocryphal" is precisely the right term. I have noted before that there seems to be a horror of this word apocryphal in the world of Buddhist Studies (i.e., religious scholarship conducted by Buddhists as distinct from Buddhism Studies, which is the academic study of Buddhism). This section is a discussion of the Chinese term 心 "heart" and its Sanskrit analogues citta and hṛdaya. Another argument against considering our text to be a sutra is that the surviving Sanskrit texts don't call it a sutra. But titles are so variable that no two manuscripts (or Chinese versions) share the same title. And as Ji has already pointed out, the title did not settle in Chinese until after the 14th Century. Titles are an unreliable source of evidence for this type of argument. This seems to be another section which has information unrelated to the task at hand, i.e., a review of the Chinese origins thesis. Ji begins this subsection with a list of references to Xuánzàng and the Heart Sutra, presented without scepticism or critique. The fact is that references to Heart Sutra in texts by or about Xuánzàng are rare. Since we know that Xuánzàng did not translate the text and that his contemporary Daoxuan was wrong about this in the Neidian Catalogue, we might begin to wonder about the provenance of all of these references. The Heart Sutra doesn't seem to be mentioned in Xuánzàng's own travelogue 大唐西域記 (T2087), at least not under the title《心經》, nor is any similar text incorporated into his huge collection of Prajñāpāramitā translations. So all the references connecting Xuánzàng to the Heart Sutra are second-hand and seem to be part of a hagiographic project. I believe that Jeffrey Kotyk is looking into this issue by comparing religious and secular historical sources on Xuánzàng and we can expect an article in due course. Ji introduces a pet theory, namely that the dhāraṇī in the Heart Sutra came from a text translated by Xuánzàng's contemporary, 阿地瞿多 Skt. 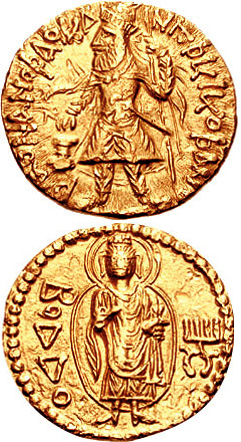 Atikūṭa (or perhaps Atigupta). This is his counter-argument to the one in Section 7 where he presented the idea that Shen had discovered the source of the "mantra" at the end of T220. Atikūṭa translated the《陀羅尼集經》Skt. Dhāraṇīsamuccaya-sutra (or perhaps Dhāraṇīsaṃgraha) into Chinese (T901) in 654 CE (Shinohara 2014: 29). A Chinese preface asserts that the Dhāraṇīsamuccaya is only a small section of a much greater work, though Shinohara (2014: 30) notes that this larger work may never have existed. Indeed, the evidence is that the Dhāraṇīsamuccaya was created in China from extracts of multiple existing texts. However, there is also a lot of material that "does not exist elsewhere in independent translations" (31). Ronald Davidson (2012) has asserted that the text contains "Indian elements" though the extent of these is unclear. Ji notes that "Atikūṭa‘s Dhāraṇīsamuccaya includes a dhāraṇī with the rather dubious [sic] title: Bore boluomita daxin jing《般若波羅蜜多大心經》(T18.804c-805a)," [NB. This "sic" is the translator's, not mine. J]. There is no explanation for why the title is "dubious" but it may be because it doesn't look like the Heart Sutra 心經 he knows. Ji has already endorsed Fukui's theory that 心 often substitutes for dhāraṇī, so it's not clear why such a usage would surprise him. That said, this dhāraṇī is an interesting short Prajñāpāramitā text which, without my having studied it in any detail, looks similar to many other such texts, for example, those translated in Conze's collection of short Prajñāpāramitā texts (1973). "Therefore, although we have no extant historical records to show that Atikuṭa did have a direct influence on Xuánzàng, we can still infer that the two were somehow connected because both were translating in Changan at the same time; both were probably having an influence on each other's religious interest, and Xuánzàng's Heart Sutra had sourced its mantra from Atikūṭa's work." (Ji 54. My Emphasis). Ji has already proved that T251 was not translated by Xuánzàng and he acknowledges this in the very next line by referring to it as "the so-called Xuánzàng Heart Sūtra" [My emphasis]. Also, there is the modern consensus that Xuánzàng had nothing to do with T251. This ongoing contradiction in Ji's presentation is very problematic. This means that, even if we could infer a connection between Xuánzàng and Atikūṭa, it would still have no bearing on the origins of the Heart Sutra since Ji tells us that Xuánzàng wasn't involved in composing it. From a complete absence of evidence, we can infer precisely nothing. Ji's inference here is simply him flattering his own theory. By contrast, as Paul Copp (2014) has subsequently shown, dhāraṇī was very important and prominent in Xuánzàng's milieu. Indeed, Ji's own comments about dhāraṇī and copied sutra extracts support the same point. The chanting and inscribing of dhāraṇī were central Buddhist practices of the pre-Tantric, early medieval period: the sight of inscribed, and sound of chanted, dhāraṇī in 7th Century Changan were surely ever-present. To argue that Xuánzàng was influenced to translate them by one man rather a whole culture requires specific evidence. We would be looking for Xuánzàng or Atikūṭa to mention each other in surviving texts and letters, for example. No such evidence is forthcoming from Ji (and I can find none). We don't even seem to have a second-hand account of their meeting. So the evidence for this idea is very much weaker than most of Ji's rather underwhelming argument. Ji seems to join in the myth-making that surrounds Xuánzàng and the Heart Sutra rather than standing back and considering what his sources tell him. It is equally plausible that the dhāraṇī in the Heart Sutra came from elsewhere or was simply made up along the lines of similar dhāraṇī, and was then copied into the Dhāraṇīsamuccaya. We lack sufficient evidence to decide this issue, but this does not keep Ji from coming to his conclusions. This Subsection is further subdivided into three. "Nattier offered no explanation for this role reversal, nor any suggestions on what it reflects in terms of the time or background when the text was composed." (Ji 54-5). Ji is reduced to making strawman arguments against Nattier. Ji goes from bad to worse, as in reflecting on the origins of the Heart Sutra he abandons any pretence of accepting the Chinese origins thesis and discusses the history of Prajñāpāramitā in India (Ji 55). He prefaces a rambling digression into Nāgārjuna and Conze's deprecated chronology with the phrase "I shall now return to the main discussion". The article seems to be falling apart at this point. Without coming to an obvious conclusion, Ji segues into Subsection 8.6, part 2, which argues for a close relationship between "the personified Prajñāpāramitā and Avalokiteśvara" (57). However, again Ji seems to lose track of the chronology by relying on Tantric sources that must post-date the composition of the Heart Sutra. Through a rather tortuous argument based on the figures who appear in the Dhāraṇīsamuccaya he comes to the rather startling and obviously false conclusion that "in Tang Dynasty, or since then, Avalokiteśvara held a very unique place in Prajñāpāramitā sutras." This is startling because, as is completely obvious, Avalokiteśvara has no place at all in the Prajñāpāramitā sutras until after the composition of the Heart Sutra. After the late 7th Century, then yes, Avalokiteśvara does show up again. But the more obvious explanation is that this is an influence from the Heart Sutra, not on it. This is so obvious I cannot believe I'm having to spell it out. Ji then lurches sideways into a consideration of the etymology of the name Avalokiteśvara and the gender of the bodhisatva. Of course, the feminisation of Avalokiteśavara in China is a subject of some interest to historians of ideas, but it has no bearing on the subject at hand. Nor does Ji shed any light on Avalokiteśvara in China. This is a strawman argument, also with no reference to Nattier's article. What Nattier does express surprise over is that the Buddha is absent from the Heart Sutra (157). Equally, it is odd that Subhūti is absent since in the Prajñāpāramitā literature, Subhūti is the main expounder of the Prajñāpāramitā point of view and the Buddha simply backs him up (cf. Nattier 1992: 157). The presence of Śāriputra is not commented on "with surprise". Śāriputra's rather passive role in the Heart Sutra is entirely in keeping with his role in the Prajñāpāramitā literature, generally. And thus elicits little or no comment from Nattier. No one familiar with the Prajñāpāramitā literature would find anything unusual about Śāriputra in the Heart Sutra. The odd absences from the Heart Sutra listed by Nattier at p.157 are repeated in the discussion of the frame sections (174 ff), but again the focus is on the absence of the Buddha and the presence of Avalokiteśvara. Śāriputra is not mentioned. Nattier never expresses the "surprise" attributed to her by Ji. The article concludes with Ji's summary of his arguments combined with some other ideas thrown in at random that seem to have no relation to the information presented (Ji 59-63). 1. Ji emphasises that the text is a copied extract and/or a dhāraṇī (Ji 59-60). And that therefore the term apocryphal does not apply. However, when one continually refers to a text as a "sutra", which Ji does even in this concluding paragraph, then the fact that a text is not a sutra makes it the very definition of apocryphal. Ji cannot have his cake and eat it. He either needs to accept his own conclusion and refer to the text by some other name or accept that, qua sutra, the Heart Sutra is apocryphal. I also pointed out that though some early commentators seem to be aware of the true nature of the text, on the evidence that Ji presents, this knowledge is lost before the end of the 7th Century. Knowledge lost for 13 Centuries can hardly be seen as integral to the received tradition. 2. Ji concludes that T250 "was not translated by Kumārajīva" (Ji 60). However, we knew this because Nattier had already explained the reasons for this conclusion. Ji repeats his speculative conjecture about the text borrowing its dhāraṇī from Atikūṭa's Dhāraṇīsamucaya, only now it has become an unqualified fact. He also implies that the dhāraṇī was borrowed independently by T251 (i.e., independently from T250 which just happened to borrow the same dhāraṇī). This may be a problem with the translation, but scholars need to be careful to avoid unintended implications. 3. T251 is "not a translated text, Even if it is, it could not have been done by Xuánzàng himself." (Ji 60) This is certainly the modern consensus, but it does not flow from Ji's argument and at times he has seemed to contradict this, as when he uncritically accepted Daoxuan's attribution of the text as a translation by Xuánzàng. Ji repeats the traditional myth of Xuánzàng's association with the Heart Sutra as unqualified fact. He wrongly refers to it as a "tantricized text" and attributes the popularity of the text to this imagined process. There is nothing tantric about the Heart Sutra. 4. Ji concluded that "later" versions (i.e., all but T250 and T251) are translations (Ji 60). No evidence whatever is presented for this conclusion in his article, but it is certainly the modern consensus and has been for many decades. 5. Ji acknowledges that "the Sanskrit Heart Sutra has indeed been influenced by Chinese grammar and aesthetic taste which shows that is very 'likely' to have been a back-translation from Chinese." (60) However, Ji also believes that he has somehow cast doubt on this conclusion in his article. I cannot imagine how he imagines this to be the case and he does not cite any specific examples. This is tooth-fairy agnosticism gone mad. Note that, despite having no evidence whatever and, in fact, having more or less proved that it cannot be the case, Ji still considers it probable that a Sanskrit "original" existed. Ji likens the situation to the Vimalakīrtinideśa in which, he claims (but does not reference) a Sanskrit back-translation from Tibetan was known long before a Sanskrit manuscript was found. Even if this were the case, the situation is not analogous because the Heart Sutra is not a sutra. It is a sutra extract, specifically an extract from Kumārajīva's Chinese translation of the Large Sutra. Ji has failed to come to terms with this despite arguing for this conclusion. It is exactly the copied portion of the text that proves that the Heart Sutra had its origins in Chinese. If the extract had a Sanskrit "original" then the extracted portion would be similar to the extant documents of the Large Sutra, or at the very least use the idioms of Sanskrit texts. But it isn't. What Ji is suggesting here is that, as well as a Chinese Heart Sutra that used an extract from the Chinese Large Sutra (T223), there must be a lost Sanskrit Heart Sutra which used an extract from a Sanskrit Large Sutra. Why would (a) Chinese author(s) decide to reproduce a Sanskrit original via the laborious procedure of copying exactly the same extract, but using T223 instead of a Sanskrit Large Sutra? Why would they not simply translate the Heart Sutra from Sanskrit into Chinese as so many other Chinese Buddhists did (and with so very many texts)? Finally, there simply is no parallel tradition of sutra extract copying in India: a Chinese sutra extract is plausible, but a Sanskrit sutra extract is not. Ji has just not thought this through. Ji justifies this poor reasoning by saying that "I just feel prudence is never a bad thing in academic research". This claim to scholarly prudence appears to be a Trojan Horse for a religious attitude of horror towards the idea that Heart Sutra is an apocryphal sutra (i.e., not a sutra at all). This is a bizarre argument because Ji's whole point, following Fukui and Nattier, is that the Heart Sutra is not a sutra. To spell it out, if the text is not a sutra, then the existence of an Indian text to authenticate it is neither here nor there. Only sutras have to be authenticated in this way. This part of the conclusion then drifts back to considering Xuánzàng as a potential back-translator. To be clear, I think this is a red herring, both in Nattier's article and in all the subsequent ink spilled over it. Xuánzàng's reputation was that he had mastered Sanskrit, while the so-called Heart Sutra was produced by someone clearly unfamiliar with the idioms of the Sanskrit Prajñāpāramitā. Ergo, it was not Xuánzàng. 6. Ji expresses an opinion on the extended Heart Sutra which he calls "long-form" (Ji 62). But note that the subject did not come up in his article. His opinion here is simply an ad hoc statement, no case is made for it. It is a matter of broad consensus that the added parts were added in Sanskrit. It is something that Nattier, as noted above, did comment on. A note here on the relationship between language and geography. Nattier's argument is that the Heart Sutra was composed in a Chinese language. Not that it was composed in China. Ji argues that the extended Heart was composed in India. In fact, we do not know anything about where it was composed, only that in all likelihood it was composed in Buddhist Sanskrit. 7. Ji argues that the Heart Sutra appeared when Tantra was "widespread" (Ji 62) and treats the Heart Sutra is a tantric text. I think this is an error. Atikūṭa was an early adopter and Tantra did not become widespread until the 8th Century. In 672, when the first physical evidence of the Heart Sutra appeared (in the form of the Beilin Stele), Tantra was in its infancy in India. It did not become established, let alone "widespread", until the arrival of Śubhakarasiṃha and Vajrabodhi in Changan in the early 8th Century. Recall that Ji could not find evidence of communication between Atikūṭa and Xuánzàng, no evidence of their having met. His idea that one influenced the other was just a supposition that seemed attractive because it supported his pet theory. On the other hand, I have argued (Attwood 2017) that the Sanskrit text must have been translated from Chinese in a milieu of Tantra because the character 咒 meaning dhāraṇī could only have been mistaken for mantra under such circumstances. Thus, the Chinese composition and the Sanskrit translation happened at different times and/or in different milieus. Ji is confused about what constitutes Tantric Buddhism. The use of dhāranī in non-Tantric settings is established as early as the 2nd Century CE. We can compare this with the Theravāda practice of partita, the chanting of Pāḷi suttas as magical protection from misfortune and bad luck. This practice is first mentioned in the Milindapañha dated before the Current Era. Simply chanting magic spells is not Tantra. Tantra is centred on a specific ritual (abhiṣeka) based on the anointing of kings. It involves combinations of mantra, mudra, and maṇḍala representing the body, speech, and mind of Mahāvairocana as he communicated buddhahood to Vajrasattva. None of this is visible in the Heart Sutra. Instead, the Heart Sutra looks back in time to the Large Sutra and its milieu, with a focus on the exercise of withdrawing attention from experience (anupalambhayogena) aimed at entering a contentless (animitta) awareness called "emptiness" (śūnyatā). In other words, Ji has fundamentally misunderstood the message and the practice outlined in the Heart Sutra. 8. Although Ji himself has not examined the Sanskrit text, he praises comparative studies in the philological approach to Buddhism Studies. He may have summarised Nattier's discussion of the Sanskrit Heart Sutra but has himself only examined and commented on Chinese texts. He praises Seishi Karashima as the leading light in this field of cross-lingual studies. Fair enough, Karashima is certainly one of the leading scholars of Buddhist texts in our time and his work is invaluable. However, he is, of course, not the only scholar working to compare Chinese texts with Indic texts in Pāḷi, Sanskrit, and Gāndhārī. And he has not published anything that directly relates to the Heart Sutra (his facsimile edition of the Gilgit manuscript of the Large Sutra appeared in 2016, four years after Ji was writing). Unfortunately, most of Ji's article is either obvious and uninteresting (e.g., a completely uncritical review of Conze's oeuvre) or irrelevant to the question of the origin of the Heart Sutra. Even when the evidence is interesting, the arguments about it do not seem cogent or coherent. Ji is reliant throughout on Chinese texts, ignoring the Sanskrit texts except when summarising Nattier's article. The title of Ji's article translates as Is the Heart Sūtra an Apocryphal Text? – A Re-examination. I took this as a statement of intent on Ji's part and read his article accordingly. However, his article was not a re-examination of the evidence per se; it was an attempted refutation of Nattier disguised as an objective appraisal. For example, Ji is only critical when considering Nattier's work. 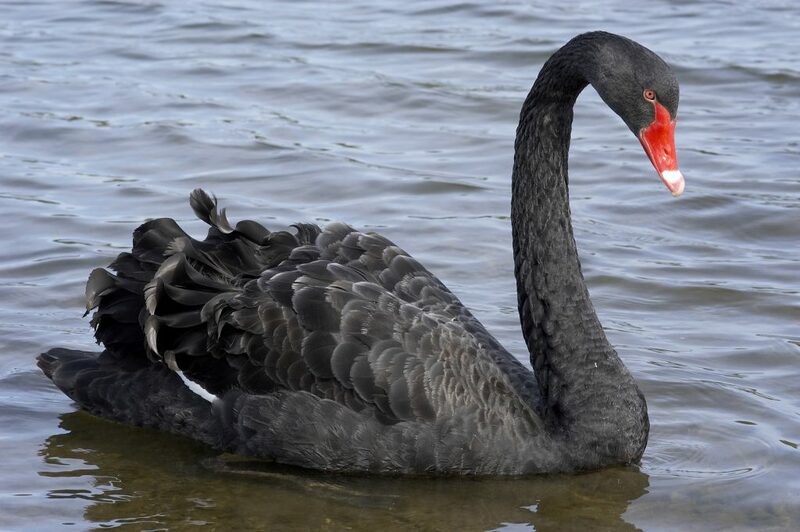 In other cases, especially when dealing with the work of Fukui and with traditional sources which support his presuppositions, he appears overly credulous and even naive. Because he does not evaluate his sources, but simply accepts them at face value, he does not draw the right conclusions from the evidence he presents. Worse, for example, when conjecturing about a relationship between Xuánzàng and Atikūṭa, in which Atikūṭa supplies the dhāraṇī for the Heart Sutra, Ji apparently accepts his own suppositions as historical facts. Accounts of Tang Dynasty Changan describe a city of approximately one million people within the walls and another one million without, a city with 93 Buddhist temples and numerous other religious institutions and tens of thousands of monks. Could two monks live there and never meet? Certainly, they could. So where is the evidence that they did meet? Where is the evidence that Atikūṭa was a lender rather than a borrower of the dhāraṇī at the end of the Heart Sutra? At other times, Ji is aware of the need to stand back from conclusions and acknowledge doubts. But he misuses this requirement for objectivity to argue for the probable existence of an "original" Sanskrit Heart Sutra without presenting any evidence whatever for this conclusion. A "Sanskrit original" is important, as Nattier points out (1992: 196) because in China this was (and is) the single most important criterion for the authenticity of a Buddhist sutra. It is apparent that some modern Mahāyāna Buddhists rather desperately want the Heart Sutra to be authentic by traditional standards. If the Heart Sutra is not "of Indian origin", then a foundation stone of many of the surviving Buddhist sects in Asia is unable to bear the load placed on it. As Fukui has been quoted as saying, “it would be a matter of grave concern if [the Heart Sutra] were proved to be an apocryphon produced in China” (Tanahashi 2014: 77). "Nattier has also benefited from... Lopez 1988" (35). Ji does at times acknowledge that Nattier went further than any of these men; however, he seems to attribute the success to "cross-lingual study" to them rather than to Nattier. Normally if a scholar relies on a contribution from someone else we credit them with it. While it is a truism of scholarship that we are standing on the shoulders of giants, a scholar does not usually spend so much time speculating about who has influenced another scholar over and above their stated sources unless there is clear evidence of borrowing without attribution, i.e., plagiarism or fraud. Nattier fully acknowledges her intellectual debts in the usual way and there is no call to speculate about who "inspired" her. The whole of Section 7 on the Chinese outsider, Shen Jiu Cheng, seems to be pointless. Ji thinks he was wrong on one hand and on the other that he sort of preempted Nattier on the idea of a "back translation" almost by accident while considering only Chinese texts. If Shen was correct about the Sanskrit text being a back translation, then Nattier was correct, and Ji should simply admit this. Moreover, at least two of the final conclusions have no supporting evidence or argumentation in the article. They are simply added in an ad hoc fashion. Ji simply appears to repeat widely held scholarly opinions without ever considering the evidence. Towards the end of Section 8, Ji slips into presenting strawman arguments that sink far below the usual standard of academic discourse. Ji is right to attempt to find flaws in Nattier's argument. I have noted one or two small points of dispute with Nattier, as have Lusthaus and Orsborn. We all make errors. New information comes to light and can make existing conclusions untenable. This is progress. But Ji seems completely uncritical with regard to any other scholar (including himself). There is no real weighing of the evidence. Where there is confusion he simply sides with the traditional narrative. There are at least two glaring examples of faulty logic. For example, despite a scholarly consensus that Xuánzàng was not involved in the production of T251 (a point which is completely obvious to anyone who has compared the relevant section of his translation of the Large Sutra in T220 with T251), Ji proceeds to take references to Xuánzàng as translator of the Heart Sutra on face value. However, he then concludes that Xuánzàng was not the translator. The second example is that he argues for a probable Sanskrit original when the evidence he has presented proves that the extant Sanskrit text is a back-translation from Chinese (per both Shen and Nattier). Nothing presented here suggests that the source was anything other than the Large Sutra in Kumārajīva's translation (T223) and the imagination of an early medieval Chinese Buddhist monk familiar with Kumārajīva's text. This is discussed at great length in my own work, both published and blogged. Anything which supports the Chinese origins thesis is assessed critically, anything which undermines it is not assessed at all but presented uncritically. As Mercier and Sperber (2017) have shown, confirmation bias is usually present when one is trying to make a case but is not present when one is critically assessing someone else's case. Ji shows exactly this pattern; therefore, he is arguing for a case, not assessing someone else's case. This article falls well below the standards expected of academic authors: it is tendentious, biased, poorly argued, and draws ad hoc conclusions. It is not just Ji that is at fault. Named prepublication readers, journal editors, and peer reviewers have a role in ensuring that conclusions flow from the evidence presented, that obvious biases are addressed, that the tone of the article is suitable for academic discourse, and that assertions are referenced. The article should never have been published in this form. Ji manages a moment of magnanimity at the end: "Nattier's studies has also [sic] shown that a cross-lingual approach is able to exhaustively expose existing blind spots of issues [sic] that would otherwise be glossed over by an intra-lingual approach" (63). However, Nattier seems not to have exposed Ji's blind spots. Indeed, we can say that Nattier is directly in Ji's blind spot. Abe, R. (1999) The Weaving of Mantra: Kūkai and the Construction of Esoteric Buddhist Discourse. New York : Columbia University Press. Attwood, J. (2018). 'A Note on Niṣṭhānirvāṇa in the Heart Sutra.' Journal of the Oxford Centre For Buddhist Studies, 14: 10-17. Conze, E. (1967) The Prajñāpāramitā-Hṛdaya Sūtra in Thirty Years of Buddhist Studies: Selected Essays, Bruno Cassirer, pp. 147-167. Modified version of Conze (1948). Conze, E. (1973). Perfect Wisdom: The Short Prajñāpāramitā Texts. Totnes, UK: Buddhist Publishing Group. Copp, P. (2014) The Body Incantatory: Spells and the Ritual Imagination in Medieval Chinese Buddhism. Columbia University Press. Davidson, Ronald M. (2012) 'Some Observations on an Uṣṇīṣa Abhiṣeka Rite in Atikūṭa's Dhāraṇīsaṃgraha.' in Transformations and Transfer of Tantra in Asia and Beyond (Ed. by Keul, István): 77-98. Hodge, S. (trans). 2003. The mahā-vairocana-abhisambodhi tantra : with Buddhaguhya’s commentary. London : Routledge Curzon. Hyun Choo, B. (2006) An English Translation of the Banya paramilda simgyeong chan: Wonch'uk's Commentary on the Heart Sūtra (Prajñāpāramitā-hṛdaya-sūtra). International Journal of Buddhist Thought & Culture. 6: 121-205. Kimura, Takayasu. (2010). Pañcaviṃśatisāhasrikā Prajñāpāramitā. Tokyo: Sankibo Busshorin, 2007. Online: http://fiindolo.sub.uni-goettingen.de/gretil/1_sanskr/4_rellit/buddh/psp_1u.htm [Input by Klaus Wille, Göttingen, April 2010]. Li R. (1995). A Biography of the Tripiṭaka Master of the Great Ci'en Monastery of the Great Tang Dynasty. Numata Center for Buddhist Translations and Research. Lopez, D. S. (1988) The Heart Sūtra Explained: Indian and Tibetan Commentaries. State University of New York Press. Lopez, D. S. (1996) Elaborations on Emptiness: Uses of the Heart Sutra. Princeton University press. Lusthaus, D. (2003) The Heart Sūtra in Chinese Yogācāra: Some Comparative Comments on the Heart Sūtra Commentaries of Wŏnch’ŭk and K’uei-chi. International Journal of Buddhist Thought & Culture. September, Vol. 3: 59-103. Mercier, H. and Sperber, D. (2017) The Enigma of Reason: A New Theory of Human Understanding. Allen Lane. Shih, H. C. & Lusthaus, D. (2006) A Comprehensive Commentary on the Heart Sutra (Prajnaparamita-hyrdaya-sutra). Numata Center for Buddhist Translation & Research. Shinohara, K. (2014) Spells, Images, and Mandalas: Tracing the Evolution of Esoteric Buddhist Rituals. Columbia University Press. Tanahashi, K. (2014). The Heart Sutra: A Comprehensive Guide to the Classic of Mahayana Buddhism. Shambala.